Last month, ICE exhibited at the biennial Posidonia trade show in Athens. With more than 2,000 exhibiting companies and 23,000 visitors this is one of the main maritime trade shows attended by ship owners and marine industry companies from around the world. ICE’s delegation was pleased with the new business contacts that were made and the established relationships that were renewed during the week-long event. A big thank you to everybody who visited ICE’s booth. 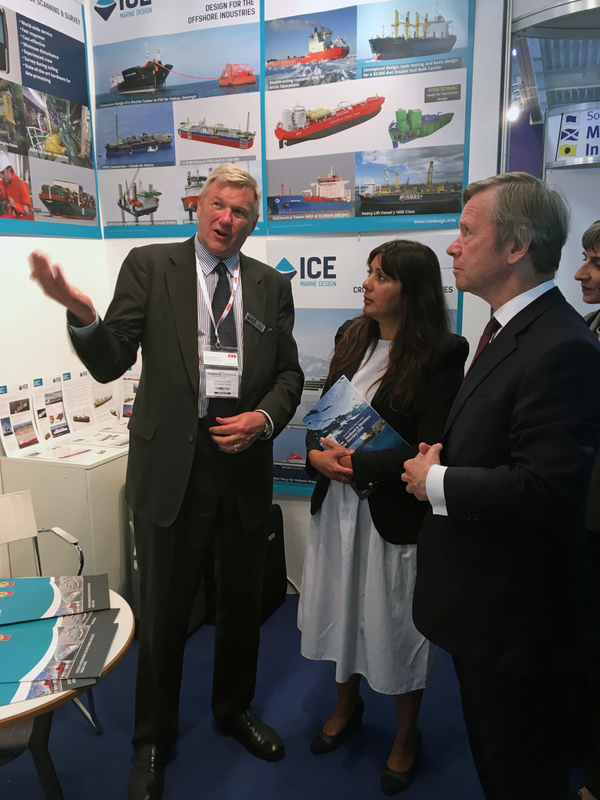 Steinar Draegebo, ICE Chairman is pictured at ICE’s stand together with (from left) Ms Nusrat Ghani, UK Minister of State for Transport, the Lord Mountevans, Chairman of Maritime London and HE Ms Kate Smith CMG, British Ambassador to Greece. Photo courtesy of Tom Chant, the Society of Maritime Industries.